According to some infos Rammstein should release a Best of Album in 2007. There are two main sources of this information. The first is here on this page and second is an interview with Bushido, who said that there should be some Best of album, including duet Rammstein featuring Bushido (he’s a german artist). You cas see this interview on the scan from the magazine Popcorn. The new song name should be “Vergiss uns nicht” (Don’t forget us). Ja, don't really know how that Best Of album will be, but i really wish its not kind of another Rosenrot, except for some cool songs it does have. What am really scared about is putting BUSHIDO in this album!!!!!!! he'd probably be fucken RAPPIN and ruin the album!!!!! Damn… stupid managers… I don't know a true Rammstein fan who will like Bushido (?!) FFS, don't do this, please! I was hoping for some new material…but not this year. Anyway, let's wait to see what is coming. 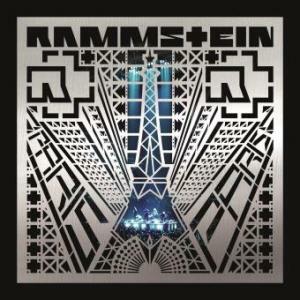 Rammstein's best of album would sell very well, only if it included a bonus dvd of everysingle music video they have made leading up to the best of, including all tv performance by the band like award shows that american and Canadian fans didn't see. deadlast…correct point of view, I agree! I dont care about the album, a real fan is supporting them trough everything ! Making a “best of” is like reaching a semi-pathetic level. Have it gone that far? – And Bushido?? Yuck!! Bro This Would B Full Sik On The Album!!! !